Make your photography business better in 2014! 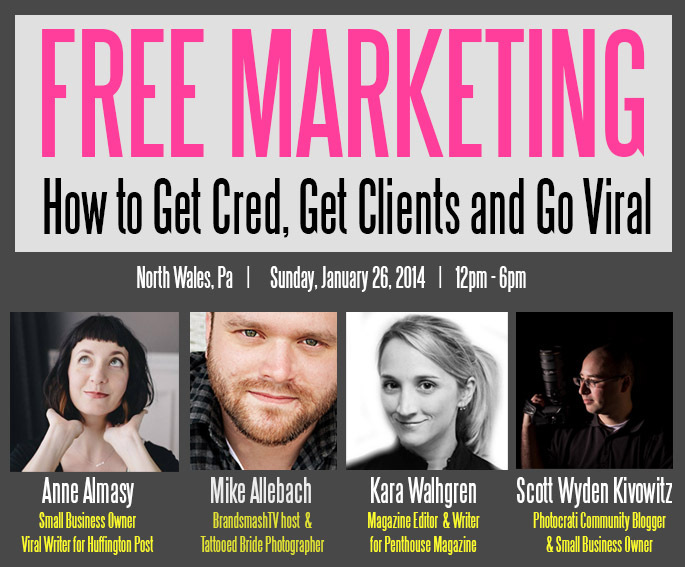 If you are in the North Wales, Pennsylvania area, sign up for this amazing workshop hosted by Brandsmash. Learn about ways to use free marketing to improve your business. The workshop is $299, but the amount of free marketing you will learn makes the investment well worth it. Visit the Brandsmash website to learn more.